Making your own graphics can be hard especially when you’re not a graphic designer or don’t have access to professional software so knowing exactly what tips, tricks and tools that work the best can really help you out. We’re sharing with you some of our favorites from desktop tools to mobile apps that are great alternatives. 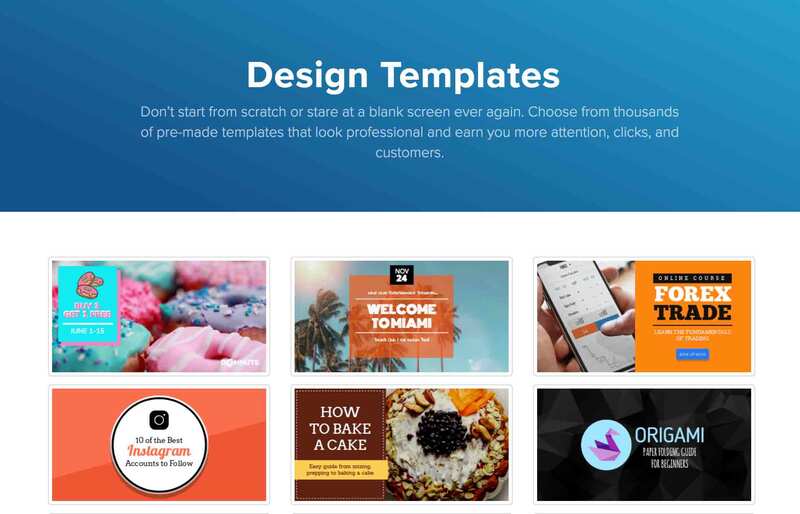 Easil is a drag and drop design tool that helps you to create visual content, they offer a wide variety of templates and the ability to design at a basic level or give you the ability to design like a pro with features like layers, merge and other effects. 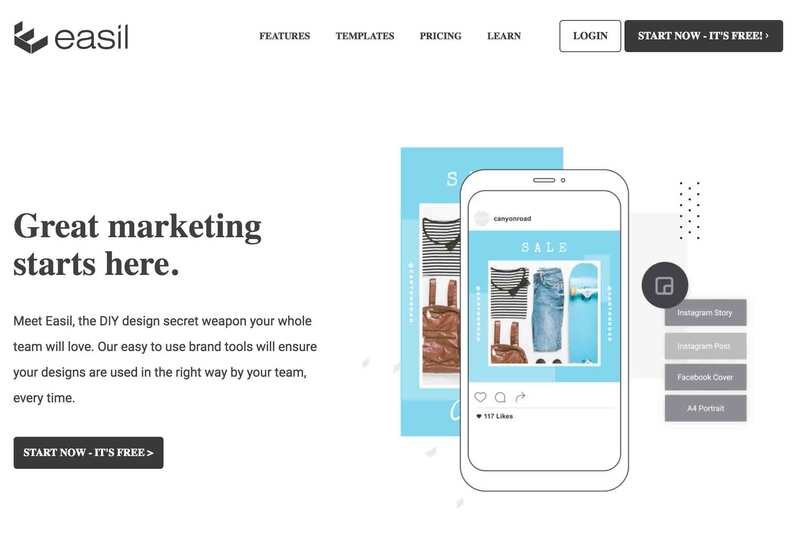 Easil has a tone of templates and trying to keep up with social media by providing a bunch of templates including for Instagram stories, infographics, Facebook ad banners and so much more. Easil offer you a free plan and they also have two paid tiers. Easil plus and Easil Edge. The free plan gives you acess to their free range of editable templates, graphic elements and text effects. You can also work in layers, groups and upload your own images. Easil Plus gives you more access than the free plan bu offering you 5000+ more pro templates, transparent pngs, PDF download, uploading you own fonts and more for $7.50 USD a month. Easil Edge offers you everything from the first two plans as well and it offers you 10,000 industry and event specific templates for $59 USD a month. Crello is a easy-to-use design tool for creating stunning visuals. With the use of free templates customizable for your projects. Crello tis different because it allows you to created animated visuals with the animation market tool and they allow you to have more freedom than other DIY design tools. Crello has a decent sized selection of illustration style graphics instead of photo based. They offer 33 image formats, have over 12,000 templates and 65 millions images can be accessed. They allow you to add photo effects, layers, add text, stickers, animations and more. Crello has two plans the forever free plan or pro. The free plan gives you access to creating static images, flyers, ect including free templates. You can create limited animated images and you can’t resize or add animated objects and it has crello branding. Pro is $9.90 USD a month. You get access to all the feature of the animation marker, unlimited commercial usage, and thousands of free animated objects and templates. A fully featured graphic editior. Snappa offers you an easy to use drag and drop editor that allows you to create beautiful images in minutes. Snappa offers you a library of 1,000,000+ photos and graphics. All photos are royaltly free. Snappa has thousands of pre- made templayes yjay are available in a wide range of sizes to fit all your needs. You also have the abiloity to resize your graphics into any size like a facebook cover into a pinterest pin. Snappa also allows you to upload your own photos and graphics. With 200+ free foants and you also have the ability to upload your own. One cool feature is they allow you to easily collaborate with a team. 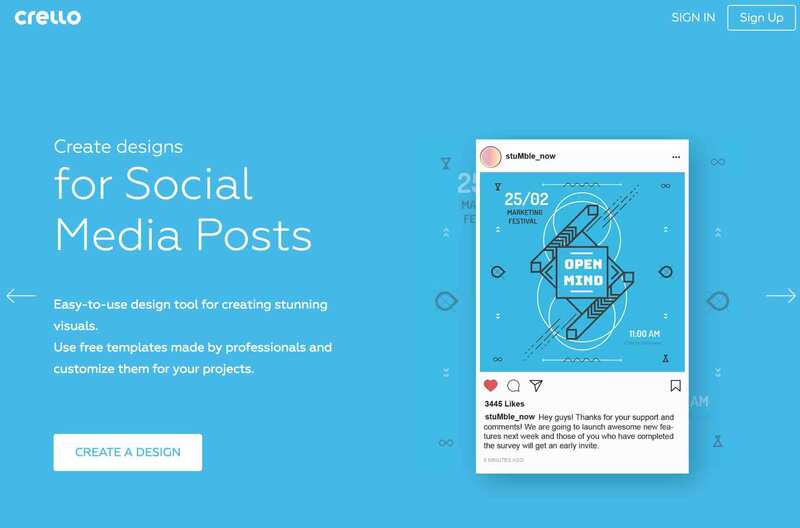 Share your designs, fonts, folders and other assets easily. 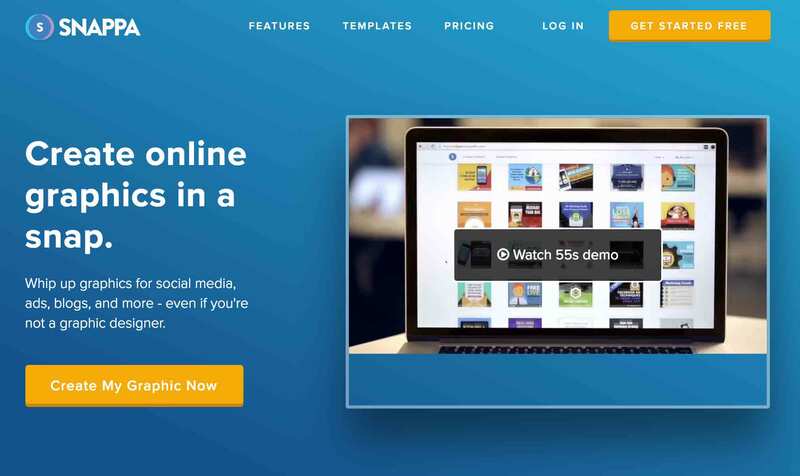 The free plan allows one user, acess to 5,00+ templates, limited graphics and photos, and 5 downloads a month.Pro is $10 a month. 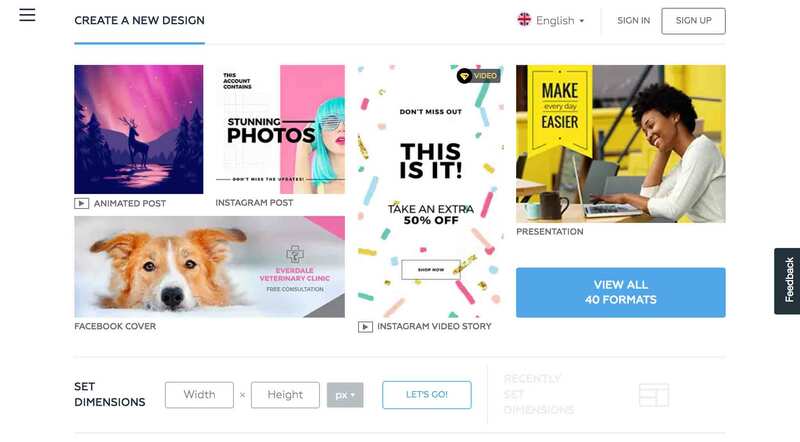 With access for 1 user you get access to 5,000+ templates, 1,000,000 photos and graphics, unlimited downloads, custom fonts, buffer integration and more. Team is $20 a month with access for 5 users, you get everything the other plans have on top of having access to team collaboration.